Clear water bass fishing can be intimidating but once you find the right presentations and techniques it can be an absolute blast. Imagine a picture-perfect day for fishing. The sun is high, but not too hot. There are a few scattered clouds and the lake is perfectly clear. You see bass swimming everywhere from the shallows to the deep weed edge. But what do you throw to try and catch them? This is a situation faced by countless anglers each and every year. Clear water can offer some of the most exciting, visual fishing available, but can be as equally frustrating. So, the question becomes, what are the best baits to fish in clear water for bass? This rig took the fishing world by storm a few years back. It was a long-kept secret of many veteran fishermen. The Ned Rig is about as basic as it gets. It consists of an open jighead style hook threaded with a small (or bit off) senko or straight-tailed worm style bait. It fishes just as simple as it looks. Cast out and let it fall on a semi-slack line. Oftentimes fish will bite the Rig as it falls. 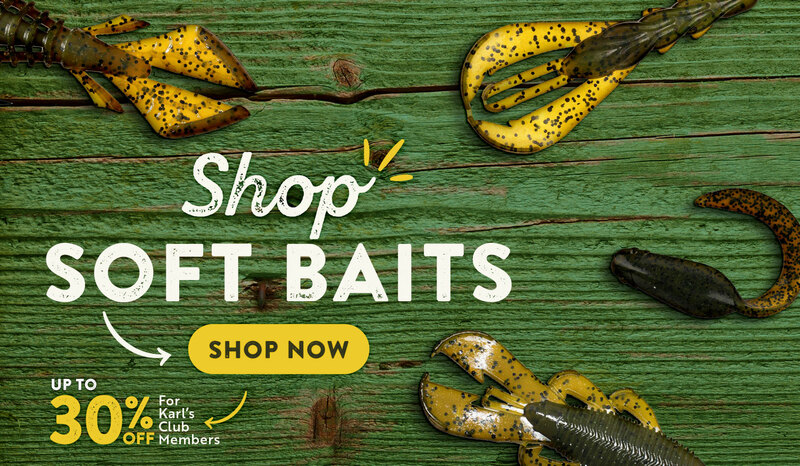 If not, the bait can be fished in a deadstick fashion, like a shakey head with a small shaking action, or more aggressively as conditions permit. It is a great option for finicky, clear water fish because of its nonintrusive appearance and its ability to be cast a country mile away from the boat. Black or Green Pumpkin colors are mainstays for the Ned Rig. The drop shot is another staple for clear water. This setup, which consists of a small baitholder style hook tied anywhere from 6 inches to 3 feet above a small weight, is great for all depth ranges. 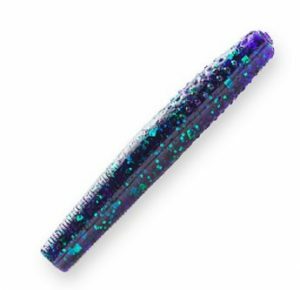 It can be long cast or dropped vertically and fished with a wide array of soft plastic lures. Typically, minnow, craw, or worm style plastics are used on this rig. Like the Ned Rig, a drop shot is easy to fish. Simply cast (or drop) the rig towards weedlines, deep boulders, or other individual pieces of cover and let it sink to the bottom. Maintain and semi-slack line and keep your finger on the line to detect bites. Picture what the plastic is doing underwater as you softly make the slack line dance slightly. This drives bass crazy in gin-clear water. 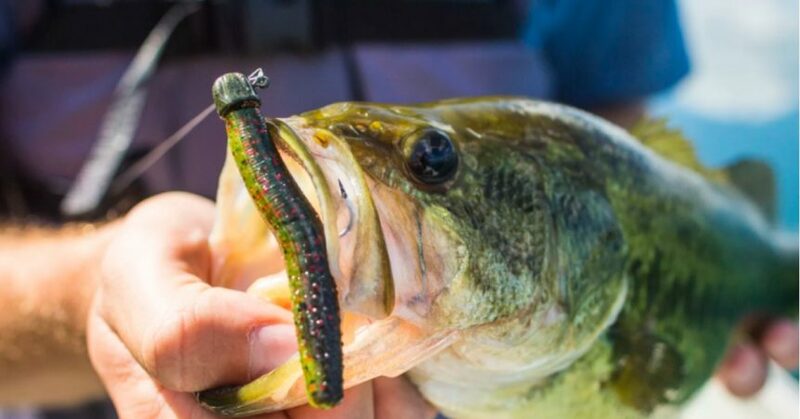 Last, but certainly not least, on our list of fish-catching clear water baits is a tube. 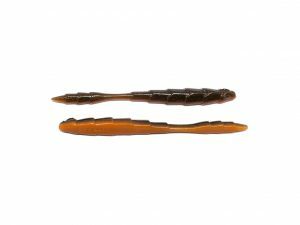 This soft plastic bait is versatile as it can be used as both a power fishing and finesse bait in both warm and cold water. It can be flipped and pitched, long cast, deadsticked, ripped, yo-yoed, crawled, and the list goes on. The bait is also highly effective because of what it imitates. In any given circumstance, it could be used to imitate both baitfish and crawfish. When crawled along the bottom a tube looks like a scurrying crawfish. 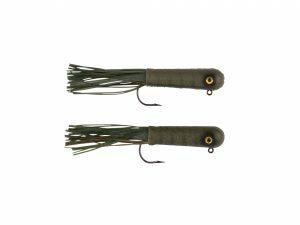 If flipped in heavy vegetation or to weedlines it can look like either a baitfish or a crawfish, depending upon what the bass want to eat. This trait is particularly useful in clear water situations where bass are more visual feeders.